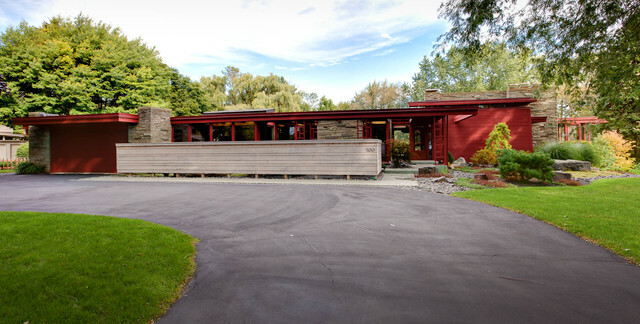 Christensen Remodeling - Midcentury - Exterior - Milwaukee - by Genesis Architecture, LLC. I don't like this. But this is an example of a long wall with windows next to a driveway. Lloyd Ruocco House "50 Shades of White"